Tara Scarlett serves as President/CEO of the Scarlett Family Foundation, whose mission is to promote and support high-quality education options for students in Middle Tennessee. Prior to joining Scarlett Family Foundation, she spent 20 years in marketing leadership roles for two of the largest consumer packaged goods companies worldwide, The Coca-Cola Company North America and Mars Petcare North America. Scarlett is the co-founder of Digital Divas Atlanta – a network of visionary women dedicated to helping build stronger female leadership in digital marketing and advertising. She is also a member of the start-up team for BPT Partners. Scarlett pairs her ability to visualize possibilities with innovative leadership to achieve bold results in both the public and private sector. 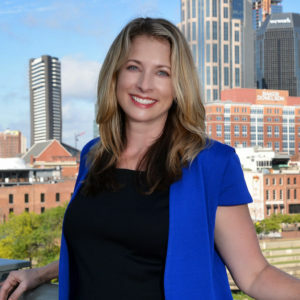 Most recently, her dedication to transform education in Middle Tennessee led her to serve on Mayor Megan Barry’s Nashville Literacy Collaborative, as co-chair of the Tennessee Learning Circle and Children’s Champions. Scarlett is also an active public speaker and has served on the boards of the American Marketing Association in Atlanta, US Mobile Marketing Association, AT&T US Customer Carrier Forum, Customer Relationship Marketing Association, LEAD Public Schools, Project Renaissance, and the Scarlett Family Foundation. Additionally, she is a member of the Leadership Nashville 2017/2018 cohort.